With heavy machinery and equipment a constant presence on job sites, high-visibility gear is essential – especially for low-light conditions. The Ejendals Tegera 298 Hi-Vis Fleece Lined Rigger Gloves are the ideal companion for cold outdoor or night-time work, featuring a hi-vis back in combination with a fleece lining for maximum protection and comfort. The Ejendals Tegera 298 are designated Category II gloves, meaning they are suitable for intermediate levels of risk. The Ejendals Tegera 298 are available in two different sizes. Please measure the circumference of your hand around the knuckles (excluding the thumb) with your hand open and your fingers together, and the length of your hand from the tip of your middle finger to your wrist. 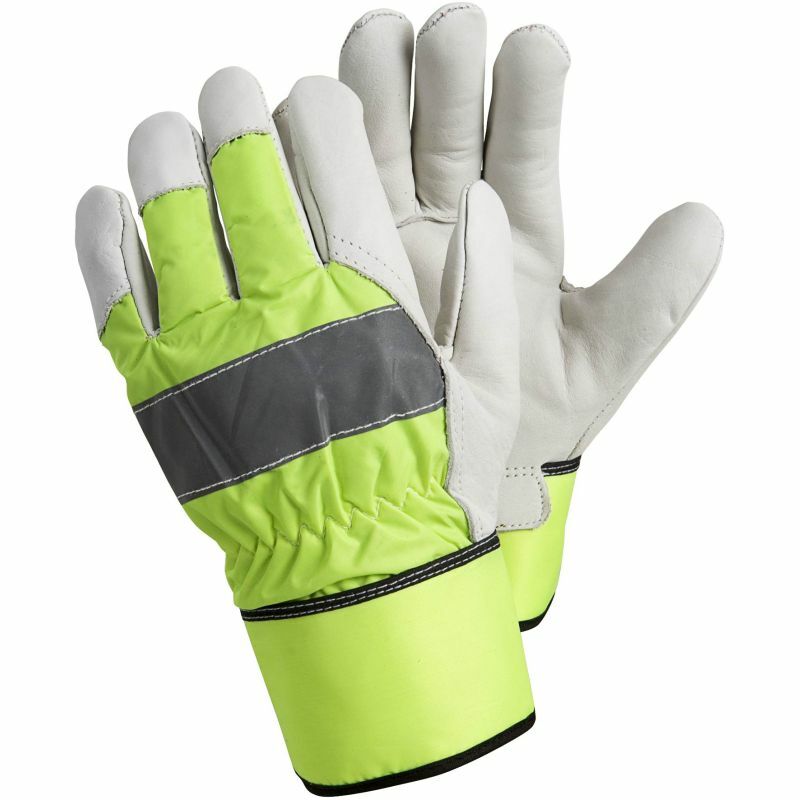 As heavy-duty handling gloves, the Ejendals Tegera 298 are designed for a looser fit than thin precision work gloves; they feature a palm thickness of between 1.2mm and 1.4mm.